Hi everyone! 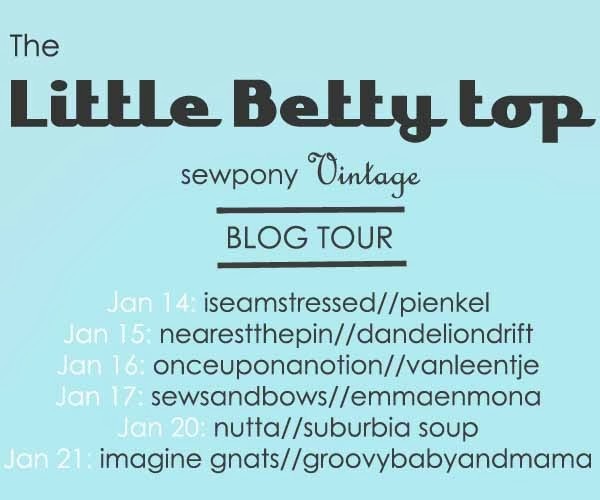 Today is the first day of The Little Betty top blog tour. Throughout the tour you can purchase my pattern for $7AUD (usually $8AUD) by using the coupon: BETTYTOUR1. To purchase my pattern, click HERE. I can't wait to see all the versions of my pattern that these lovely ladies have made. The first ten bloggers on the tour kindly helped me by testing my pattern and giving me some great feedback to improve it. 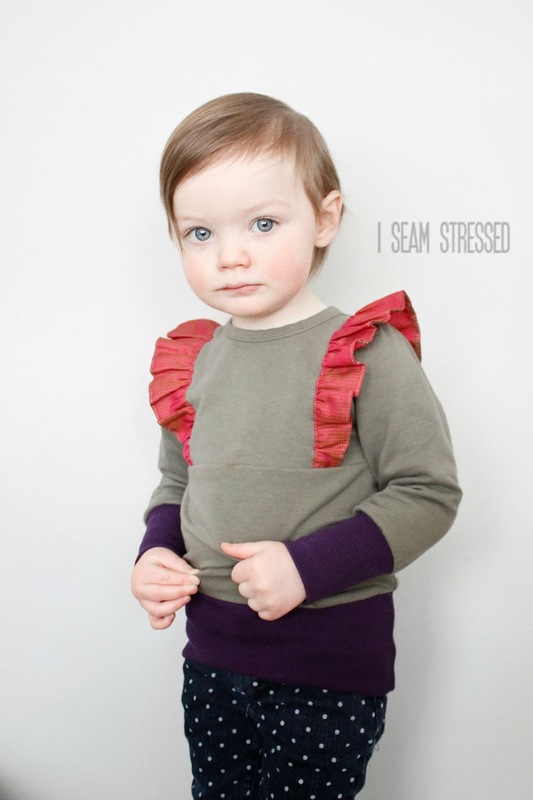 Tasha from I seam stressed and Nienke from Pienkel are showing you their lovely tops today. Tasha has been blogging for less than a year and sews awesome stuff for her daughter (and also now her baby son). She mixes fun prints and textures and always creates unique pieces. Have a look at her 'out of this world' Halloween costumes that she made for her children inspired by the classic book, The Little Prince. And check out her sweet Little Betty below and click HERE to see more. Nienke from Pienkel blogs from the Dutch island of Tershelling - such an interesting sounding place! I love that blogging helps me connect with people from all over the world! Nienke sews for her gorgeous three children. Nienke has a new (ish) series called "Weekly Pin Project", inspiring sewers to link up and share projects inspired by pins they have pinned on Pinterest...what a great idea!. One of my favourite of Nienke's past sewing projects are these gorgeous ladybug bathers....so cute!! Today she is sharing a Little Betty she made for her youngest daughter. Head over to Pienkel to see more! Thank you so much Tasha and Nienke - for your help with the pattern and for joining in my tour! Make sure to check in tomorrow for our next two guests! I need to conquer my fear of knits this top is fab. I hope you are able to share some of the "amazing inventions" in future logs. Click here to learn more!! Thank you Suz, for the sweet intro! Oh Suz! I'm totally in love with the top! I want to make it as well! Oh, wow - what adorable versions of Little Betty!!! Thanks for letting me test your lovely pattern and be on the tour, too! Both of the versions are so cute. They co-ordinate pretty well too! I love both versions! I bought the Little Betty top pattern last week and I can't wait to make it for my two girls! You did a great job with this pattern - it is gorgeous. 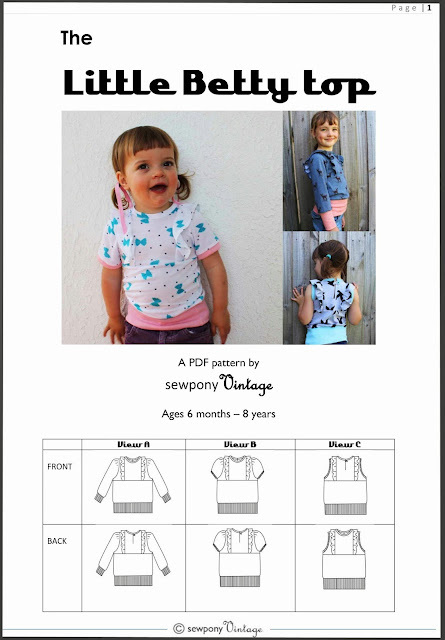 Is there any sew-along or flickr page to share our Little Betty tops?